The ultimate Swingline staple performance for standard staplers. Industry leader with 75% fewer misforms than competitive staples. Precision engineered chisel point proves to offer superior paper penetration with minimal jamming. 210 staples per strip for S.F. 4 Premium Staples and 105 staples per strip for S. F. Premium Staples. Durable, reusable storage case. 1/4" leg length. 5,000 staples per box. yes, the SF3 staples will work great in your stapler, and can be used in any standard stapler model. What staples should I use for a Saddle stapler 615? We recommend the S.F. 4 staples (#S7035450) that can be found on www.swingline.com. Can I still get Tot 50 Staples for my Swingline Tot 50 stapler? If so, where? You can use standard staples for the Tot stapler which are available on our Web site www.swingline.com. What staples can I use for these two heavy duty staplers. Both the 39005 and 90002 staplers can be used with Swingline® Heavy Duty Staples, 1/4" leg length, 1/2" leg length, and 3/4" leg length. On the page for the #35550 Staples, you can click add to cart and complete your order. If there are different pack sizes (i.e. 3,750 or 5,000) you will need to select the quantity you would like from the drop down menu on the product page first. Then you will see the 'add to cart' icon appear. Are S.F. 3 Premium staples the same as S.F. 3 High Performance staples? Yes, these are the same. what is the difference between S.F. 3 and S.F. 4 staples? The difference between the S.F.3 staples and S.F.4 staples is the size you get per strip. The S.F.3 have 105 staples per strip. 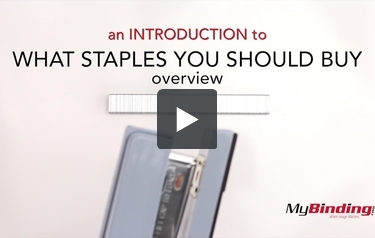 These staples are perfect for half strip staplers that only hold 105 staples. what is the difference between standard staples and SF3 premium staples? Standard Staples come with 210 staples in a strip while S.F.3 staples come with 105 staples in a strip. The S.F.3 staples are the premium version of our staples for compact sized staplers which hold 105 staples. The S.F.4 Staples would hold 210 staples for full full sized staplers. What staples do I use with a Swingline Model 390 stapler? Swingline Heave Duty 1/4" staples (79394) don't work. They fold over themselves vertically rather than penetrate the sheets of paper. Maybe they don't line up correctly with the two curved grooves underneath the paper.